Like our family, this granola is basically an eclectic mix of nuts, bound together and elevated to a whole that’s greater than the sum of its parts. It’s also wholesome, packed with protein, lightly sweet, delicately crunchy and moderately addictive. 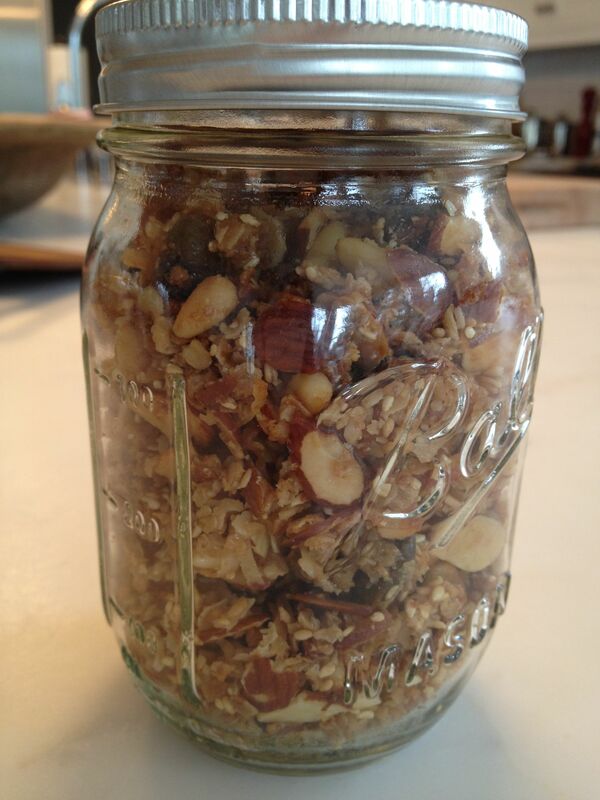 If you – like me – are facing a pantry full of impulse-purchased holiday baking ingredients (nuts, coconut, corn syrup, brown sugar), now’s a great time to make granola. As a snack, it’s delicious straight out of a jar or sprinkled onto yogurt. Because I have a sweet tooth and love extra crunchy everything, I add it to salads and even butternut squash soup. My husband thinks this is weird. I say we’re all entitled to be a little nutty. Important first step any time you cook with nuts or seeds: taste a few before proceeding. Nuts can go rancid fairly quickly, especially if they’re not stored in the freezer. I’ve had a few dishes ruined by bad nuts; don’t let this happen to you! Preheat oven to 350°F. 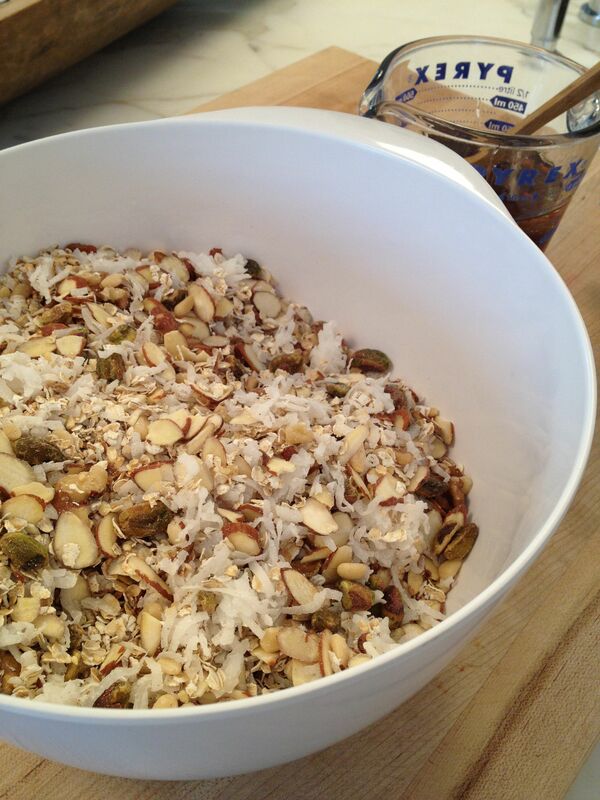 In large bowl mix together oats, shredded coconut, nuts and sesame seeds. In a small bowl or Pyrex measuring cup, whisk together maple syrup, brown sugar, vegetable oil and corn syrup. 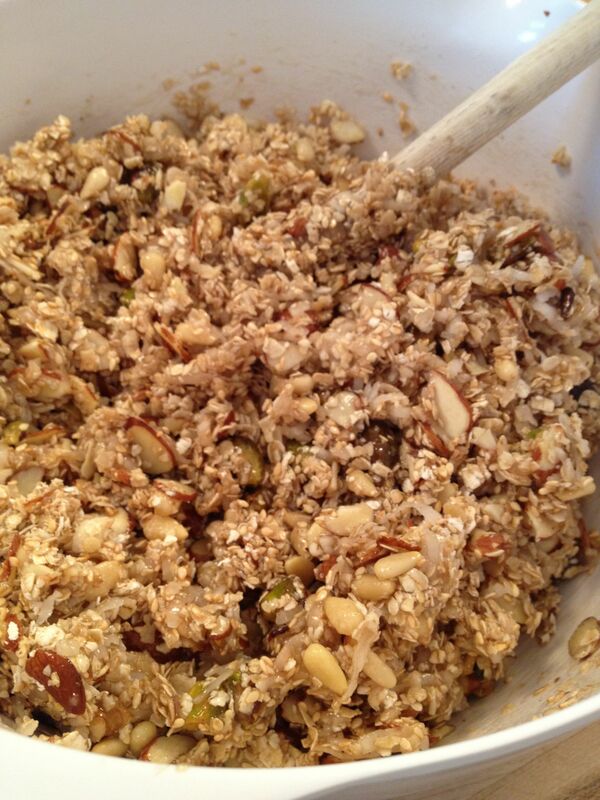 Pour over oat/nut mixture and stir to coat evenly. 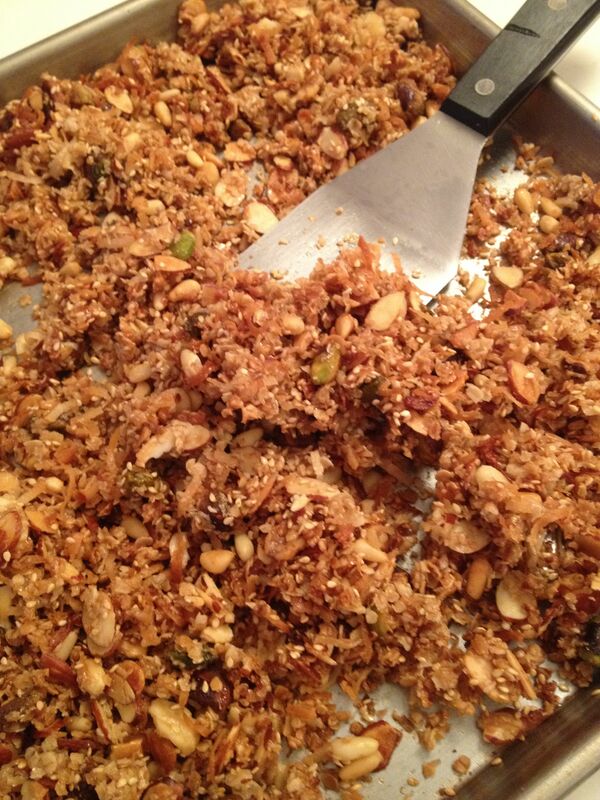 Spread granola onto rimmed baking sheet. Bake 15 minutes; remove from oven and stir/scrape so mixture cooks evenly. Return to oven and bake another 10-15 minutes until golden brown. 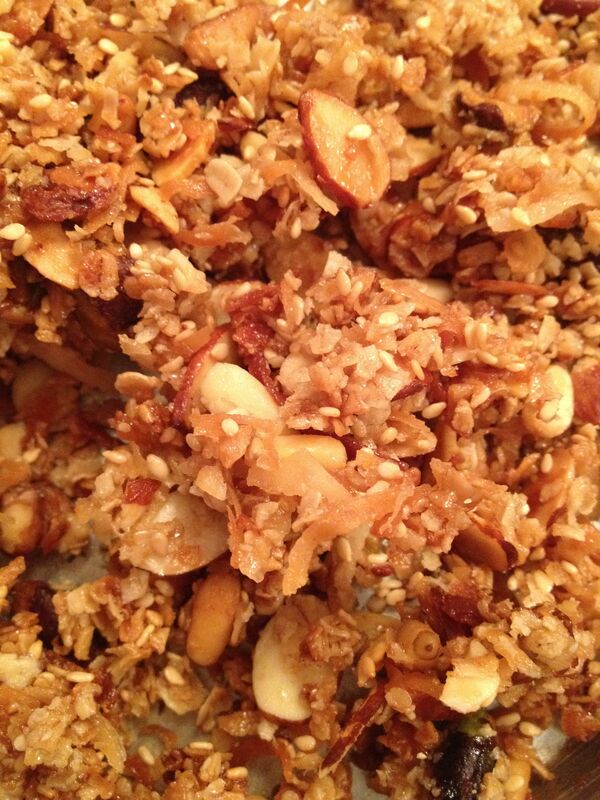 Cool on baking sheet; granola will crisp up as it cools. Store in airtight containers; will keep at least a week. For longer-term storage, keep in freezer.